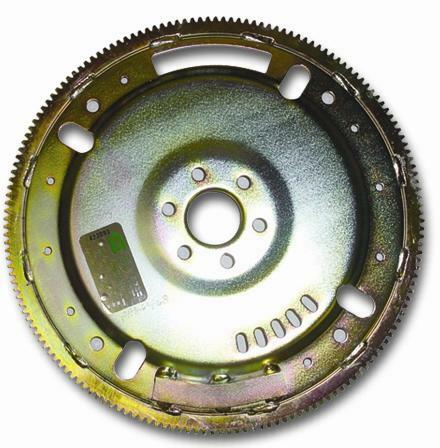 Upgrade your automatic's flexplate with a heavy duty, SFI approved, welded steel flexplate from Performance Automatic! For the ultimate in strength and durability in your AOD or C4 equipped Mustang, Performance Automatic's Platinum Xtreme series of flexplates is exactly what you're looking for! Designed to handle extreme-duty applications, these flexplates have a solid foundation in their 4mm thick center plates. With all popular and hard to find variations of weight, tooth count and driveline combination, these flexplates withstand all the street and strip punishment you can dish out. Utilizing robotic machinery and cold welding, the ring gears are precision welded to meet SFI specs.